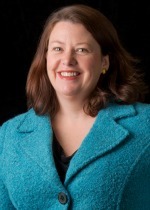 Ms. McDonald-McClure, the creator and editor of the Wyatt HITECH Law blog, is a partner and member of the Health Care Service Team at Wyatt Tarrant & Combs, LLP. Ms. McDonald-McClure draws upon her extensive legal career in healthcare to advise healthcare providers and suppliers in areas related to fraud and abuse, reimbursement, privacy and clinical trials. The laws she regularly deals with include the anti-kickback statute, physician self-referral law (Stark), state and federal false claims acts, Medicare secondary payer law (including mandatory liability insurance reporting), HITECH, HIPAA, FTC Red Flag Rules (medical identity theft) and the many fraud and abuse related provisions buried in the Patient Protection and Affordable Care Act (Health Care Reform). She also assists clients with the development, review and maintenance of effective compliance programs and with risk and insurance issues. Ms. McDonald-McClure has the Highest Professional AV Rating by Martindale-Hubbell Law Directory (2015). She was selected by Woodward/White’s The Best Lawyers in America® (Health Care Law) (2009-2015), and as a “Partner in Health Care” by Louisville Business First (2008-2015). Ms. Levi is Counsel for the Firm’s Health Care Service Team. She has twenty years of experience advising healthcare clients regarding medical records (including HIPAA privacy and security issues and data breaches) as well as complex healthcare fraud and abuse issues and helps clients structure transactions and activities to comply with the Physician Self-Referral (Stark) Law, the Anti-Kickback Statute, the False Claims Act, and HIPAA privacy and security laws, among others. Ms. Levi is a frequent contributor to the Wyatt HITECH Law blog, with over fifty posts written. Ms. Levi has given numerous presentations on health care reform, HIPAA, EMTALA and fraud and abuse. 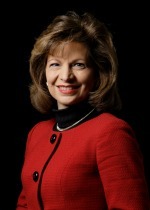 Martha A. Ziskind is a member of the Corporate and Securities Service Team. Before joining Wyatt, she enjoyed a twenty-nine year career at PNC Bank and its predecessor Kentucky bank, Citizens Fidelity, where she served as Chief Market Counsel and Corporate Secretary as well as PNC’s in-house privacy lawyer. Ms. Ziskind is a frequent speaker on privacy-related topics and has advised financial institutions on data breach and other privacy matters. Jennifer Wintergerst is a member of the Firm’s Health Care Service Team. She concentrates her practice in the area of regulatory compliance, Medicare and Medicaid billing compliance and claims litigation, Medicare and Medicaid provider enrollment, governmental audits and investigations, RAC, MIC and ZPIC audits and appeals, and false claims litigation. Ms. Wintergerst assists clients with the development, review, and maintenance of effective compliance plans, and conducts internal investigations regarding potential overpayments and data security incidents. She also assists providers with disciplinary actions before regulatory boards and with HHS/OIG exclusion and reinstatement. Dan Soldato is a member of the Firm’s Health Care Service Team and focuses his practice on corporate services and regulatory matters for healthcare organizations. Mark Vorder-Bruegge, Jr. is the partner in charge of the Firm’s technology. The Intellectual Property practice is tightly integrated with the Data Privacy and Security team because so much modern-day information has both proprietary and privacy attributes. Mr. Vorder-Bruegge frequently assists clients with computer infrastructure, data housing, software licensing, application program language, third-party data vendor, and similar transactions and disputes. He has negotiated and counseled clients on security and other risks associated with over twenty data-related transactions over the past two years. Douglas L. McSwain is a member of the Firm’s Litigation & Dispute Resolution Service Team. He concentrates his practice in constitutional law, business, professional, employment, civil rights, data privacy & security, and trade law. Cornelius E. Coryell II is a member of the Firm’s Litigation and Dispute Resolution Service Team. He has litigated a wide variety of civil disputes, including cases involving data privacy breaches, non-competition and non-solicitation agreements, and alleged violation of fiduciary duties. Mr. Coryell concentrates his practice in the areas of complex commercial litigation, banking litigation, trust and estate litigation, and insurance disputes. THIS IS AN ADVERTISEMENT. Services may be performed by others. Copyright 2015. Wyatt HITECH Law. All rights reserved. Fair use with attribution welcomed. Kathie…just discovered your blog. I love it. I have been doing the same and put a post up on mine with a link to your site. Hope you don’t mind. Thanks Mark! I just recently discovered you blog as well, through a LinkedIn weekly update. If you include the tag “linkedin” on your blog posts, then I think your new posts get posted to your LinkedIn profile and may even show up in the weekly updates. We’ll have to share blogging stories soon!